So after over 3 years of misery and campaigners stating the obvious the bureaucrats at HS2 have finally realised that it is madness to do anything other than tunnel HS2 under Ealing – from Old Oak Common, Hanger Lane, Perivale, Greenford and Northolt. This is great news for our local residents in South Ruislip who now no longer face the prospect of a massive tunnel portal and the rail line being constructed in their community. It’s great news for Northolt High School, Swimarama, commuters – by car and tube, residents, local businesses and so on. It’s not such good news for all of Hillingdon -specifically Ickenham, as a longer tunnel means more spoil, and as that is now the only tunnel portal in London west of Old Oak Common it is likely that will be where all the spoil has to come out. The area around Ickenham, Harefield, Denham and the Chalfonts is beseiged by tunnel portals, a massive viaduct and sub stations and these plans offer no comfort for those areas. 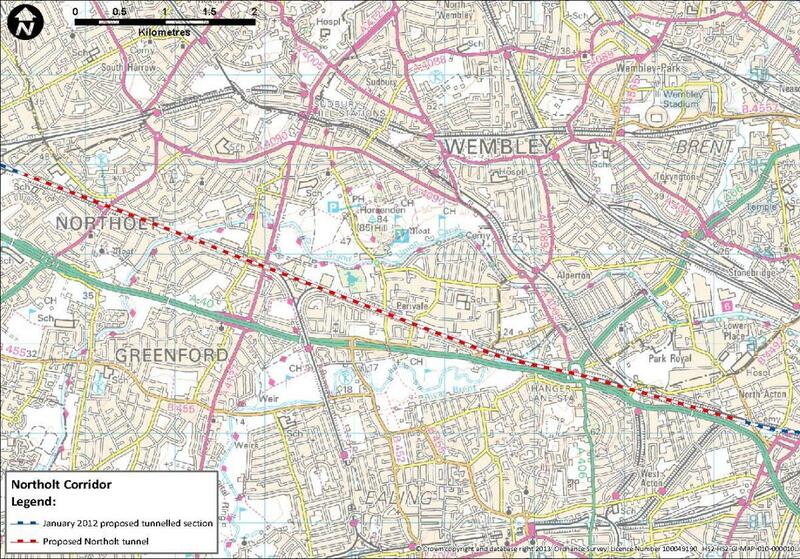 A short extension to the Ruislip tunnel has been ruled out for Ickenham who remain in a catch 22 situation due to the delayed decision on the Heathrow spur, and HS2 are refusing to consider tunnelling under Hillingdon Outdoor Activities Centre, whilst planning to tunnel under a similar area nearby to help avoid motorways if the Heathrow spur goes ahead. So although we are pleased for our brave, resilient and persistent neighbours in Ealing who should not have had to go through the stress, trauma and hard work of the last few years, this is as good as an opportunity as ever to remind everyone, that HS2 remains bad news for all taxpayers, for the environment and for anyone with a bit of common sense! There are also still thousands of others, close by and as far away as Church Fenton in Yorkshire, that are facing infinite misery, loss and devastation. We must stand shoulder to shoulder with them all. Stop HS2! 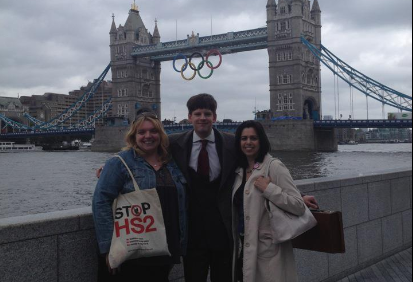 This is us at the GLA with Alex Nieora, Chair of North Ealing Against HS2.